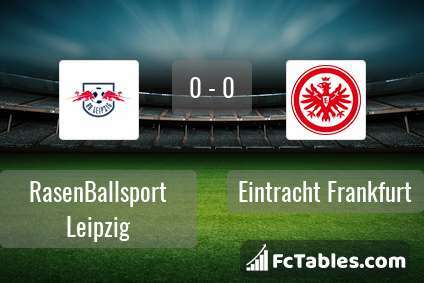 Match RasenBallsport Leipzig-Eintracht Frankfurt 1. Bundesliga the fixture is set to kick-off today 14:30 on Red Bull Arena Leipzig. Refereee Guido Winkmann. 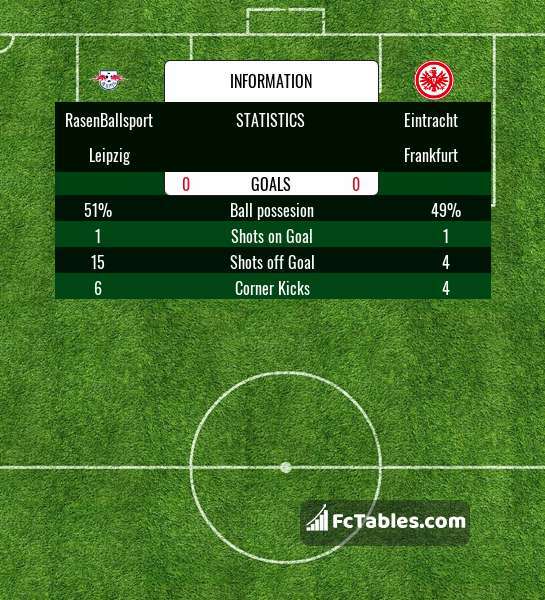 Team RasenBallsport Leipzig is at the top place in the table (4 place). In 5 last games (league + cup) RasenBallsport Leipzig get 9 points. From 2 matches no lost a match. Players RasenBallsport Leipzig in 1. Bundesliga with the highest number of goals: Timo Werner 11 goals, Yussuf Poulsen 10 goals, Jean-Kevin Augustin 3 goals. Players Timo Werner 2 assists, Yussuf Poulsen 2 assists will have to be very well guarded by defenders Eintracht Frankfurt, because they have the most assists. Injuries in the team RasenBallsport Leipzig: Emile Smith Rowe, Dayot Upamecano, Amadou Haidara. Team Eintracht Frankfurt is located in the middle of the table. (6 place). Form team looks like this: In the last 5 matches (league + cup) gain 6 points. 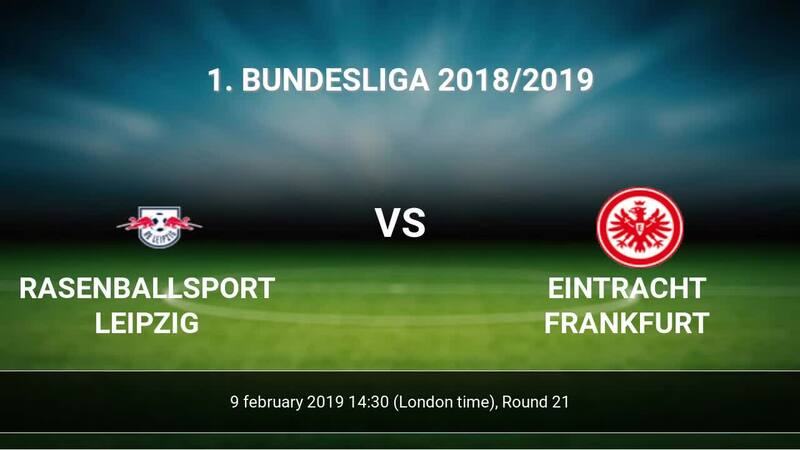 Eintracht Frankfurt did not win the match away from 3 games. from 3 matches team have not been defeated. The most goals in 1. Bundesliga for Eintracht Frankfurt scored: Luka Jovic 14 goals, Sebastien Haller 11 goals, Ante Rebic 7 goals. Players with the most assists: Luka Jovic 3 assists, Sebastien Haller 8 assists, Ante Rebic 3 assists. In Eintracht Frankfurt not occur in the match due to injury: Almamy Toure, Lucas Torro, David Abraham, Timothy Chandler. Direct matches: RasenBallsport Leipzig won more direct matches. 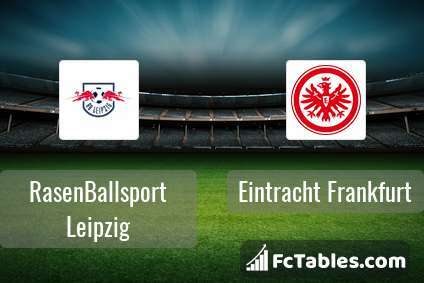 RasenBallsport Leipzig won 2 matches , Eintracht Frankfurt won 1 direct matches, was a 2 draws. In 4 matches the sum of the goals both teams was greater than 2.5 (Over 2.5), and 5 matches teams scored more than 1.5 goals (Over 1.5). In 4 matches the both teams scored a least one goal (Both teams to score).